War Thunder:Ground Forces screens and PS4 tease. As you can now see, War Thunder has got a sub title, Ground Forces. Ground forces will take on World Of Tanks boasting ground and air combat. Exciting stuff and what's more, it's free to play. 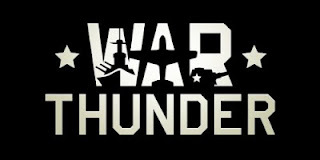 War Thunder Ground Forces is aiming to be a launch title for PS4. Take a look at the stunning Tank models of the Sherman М4А2 and Panzerkampfwagen VI Tiger I. Take a look at the teaser video.